Aussie Hip Hop is coming to Courtyard Party, all day Sunday, this Easter Long Weekend. Featuring the very best of Sydney's Rap scene & local Hip Hop DJ's on Support. 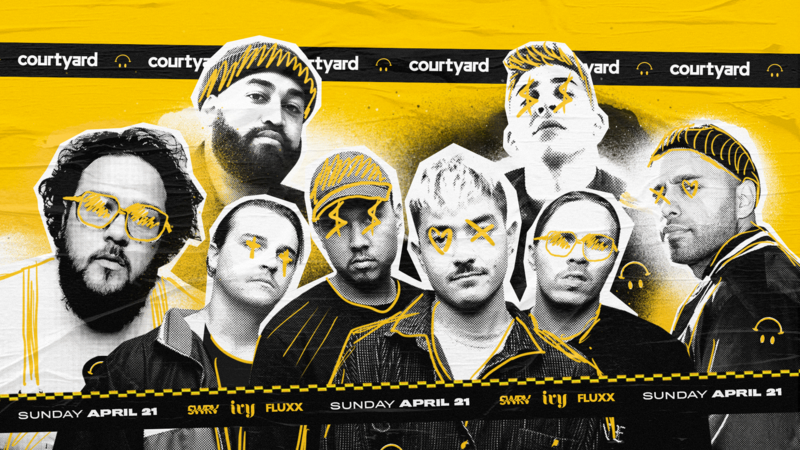 Grab your Maxies, chuck on a dry fit and catch B Wise, Chillinit, Joyride, Triple One, Shantan Wantan Ichiban plus Raj Mahal & more live at Courtyard Party. B Wise - Bringing South-West Sydney to the world, B.Wise has been a rising star in Hip Hop. Recently winning FBi Radio's RECORD OF THE YEAR, this is an act you should not sleep on. Chillinit - Chillinit is quickly becoming a household name. With over 10 million streams on Spotify with his debut album, his own line of Merch & sold out shows across Australia, big things are coming from Chillinit. Joyride - The Don himself, Joyride, has a huge connection with Sydney's growing Hip Hop scene. From hosting his own Hip Hop show on FBi Radio, being apart of Sydney Hip Hop Collective, One Day, and an all-around cool dude, Joyride will be bringing the biggest vibes. Triple One - Repping the Inner West, Triple One is coming thru as the Hip Hop boy band the world deserves. With no rules & no genres, the boys are here to really Showoff. Shantan Wantan Ichiban - emcee, deejay, hypeman & rad badman, Shantan is a bonified rude boi party starter. Catch him hosting on Triple J Radio, or behind the decks spinning some tunes, you know that if Shantan is involved, the party will be bouncing. See you all Easter Sunday! Got a promoter code? Select your tickets, click 'Get Tickets' and enter it on the next page!